It occurred to me today that I never actually got around to writing about the rest of my summer and early fall travels. So I'm going to try to share a bit more about my time in Seattle, Oregon, and New Mexico over the next couple of weeks. 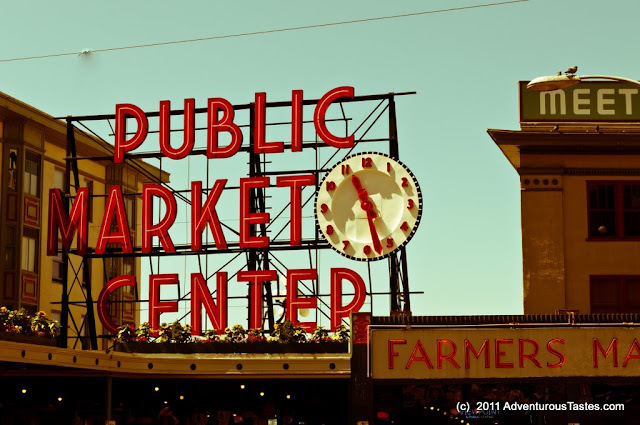 Pike Market is so jam packed with tourists, you might want to turn away before going in, but if you did, you'd be missing out on a a pretty darn cool market. 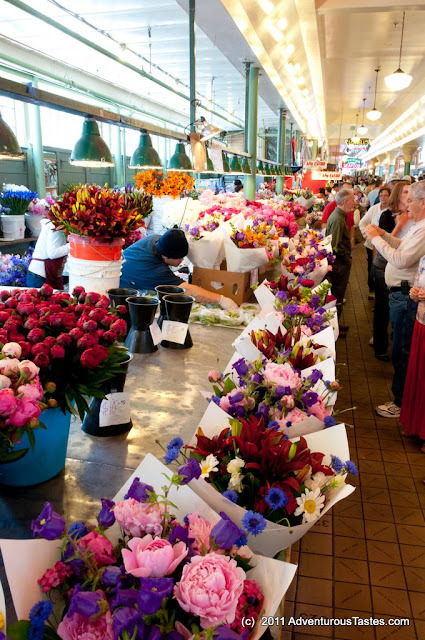 Just the flowers alone made me wish I lived in Seattle. As I informed the Mr., if he had access to stunning bouquets chock full of the lushest peonies you'd ever seen for a mere $10, I'd be expecting flowers way more often than just Valentine's and our anniversary! See those giant bouquets below? Yep, 10 measly bucks. So jealous of the lucky ladies of Seattle! 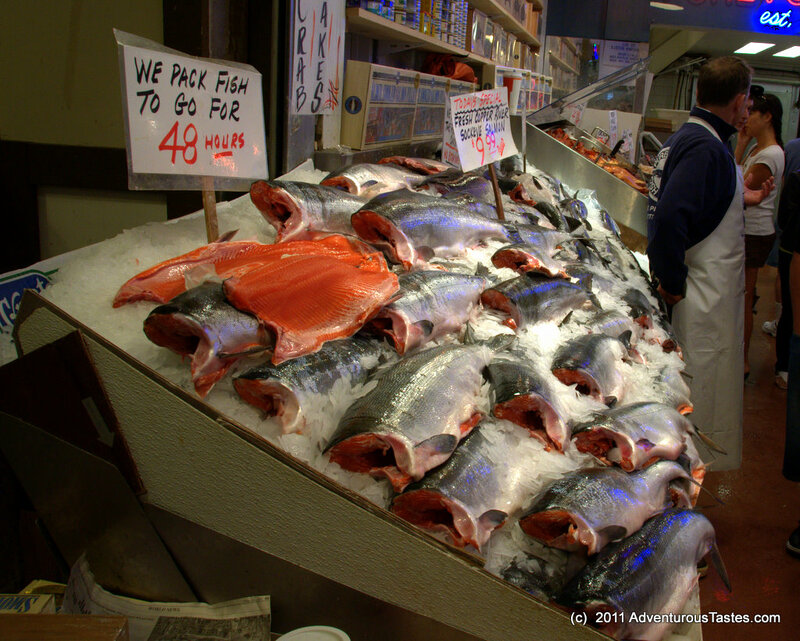 No trip to Pike Market would be complete without seeing someone throw a fish. Alas there were a lot of fanny pack wearing tourists elbowing me out of the way for the same view, so I had to settle for just scoping out some of the wares. I did see one fish thrown, but honestly it wasn't quite as exciting as you'd hope it would be. Given Atlanta's, shall we say, rather lacking seafood access, I was seriously wishing I had a kitchen in which to enjoy some of these gorgeous ingredients. I'm not really sure how any local deals with the insane crowds, but it would be hard to resist the incredible selection and prices at Pike. Perhaps they have less famed and more local markets I don't know about. Mostly it was the flowers and raw ingredients that wowed us, so for our actual lunch, we headed across the street to an also very packed French bakery - Le Panier. It was just as cute and cozy, albeit far more bustling, as you'd ever hope to find. 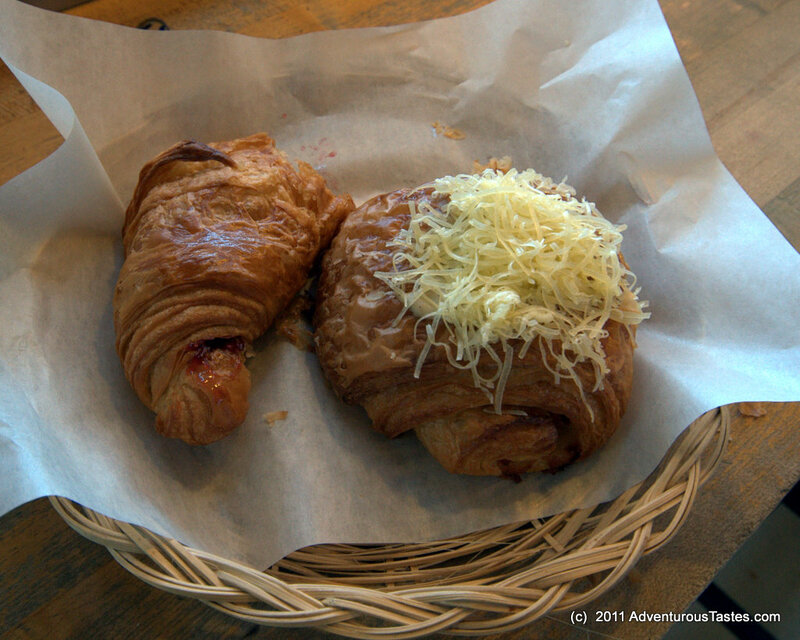 Everything looked delish, so we opted to share a sweet framboise croissant and a savory ham and cheese pastry. A perfect ending to a trip to Pike! And if you're feeling really intrepid you can battle the lines at the nearby original Starbucks.